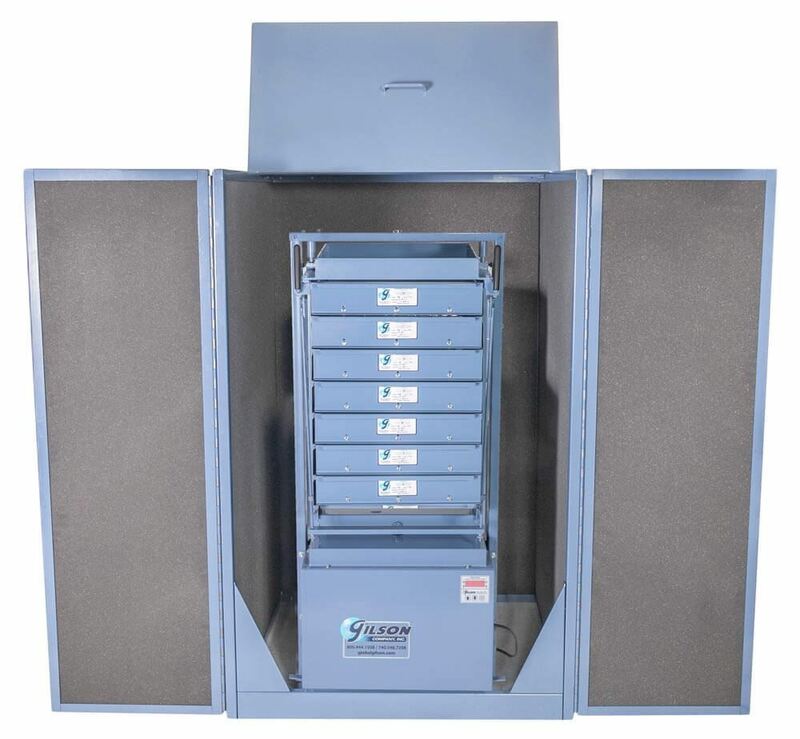 Sound Enclosure for Gilson Screen Shakers - Gilson Co.
TSA-180 Sound Enclosure is recommended for use with Gilson Testing Screen, Test-Master® and Porta-Screen® models to reduce noise levels during operation. 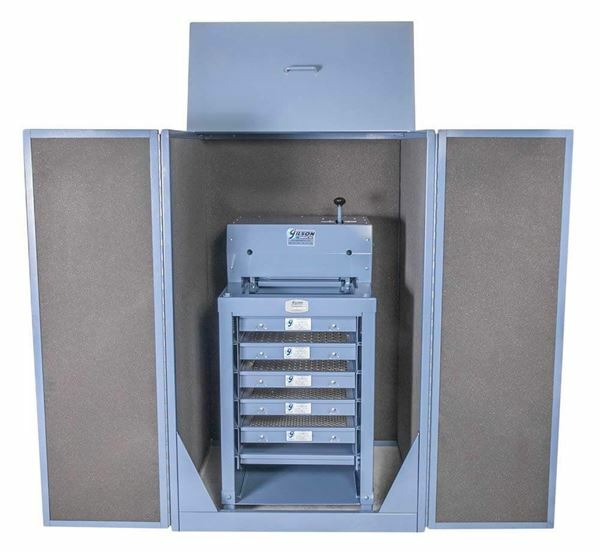 The Enclosure is also useful for decreasing noise from other lab equipment that will fit inside the cabinet, such as sieve shakers. 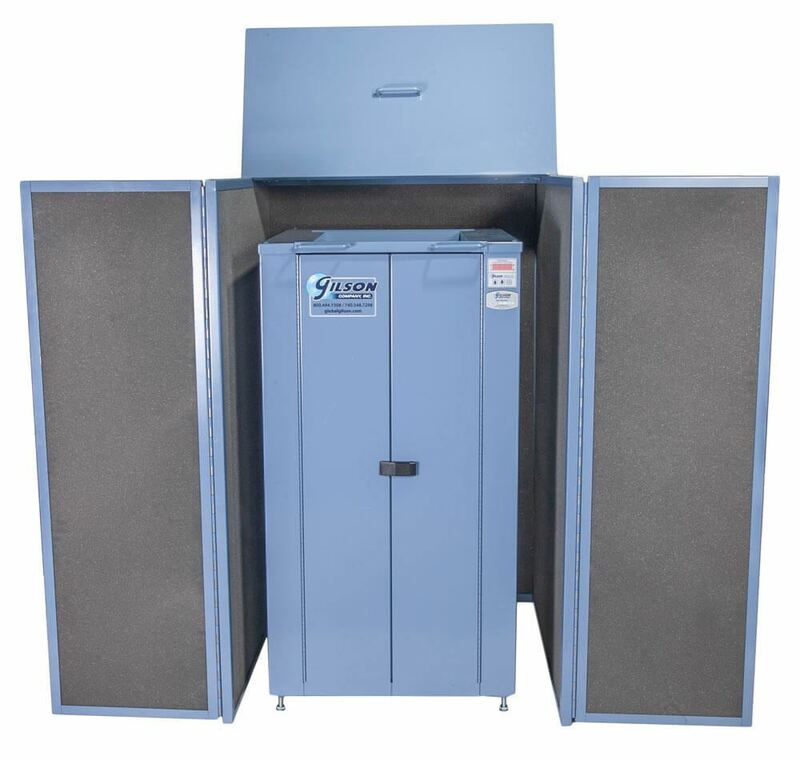 The sturdy painted-steel cabinet is lined with 1in (25.4mm) thick sound-attenuating foam and equipped with hinged full-width front doors and hinged top cover for easy access.